The RS21 is the newest model from RS Sailing, the world’s largest small sailboat manufacturer with a mission to get more people sailing. The RS21 provides a high stability hull, user-friendly rig and well-balanced helm for two to four people to race. Not only is the RS21 a pleasure to sail, RS Sailing dramatically reduced the carbon footprint associated with production of the boat by building a hull made from eco-friendly materials. 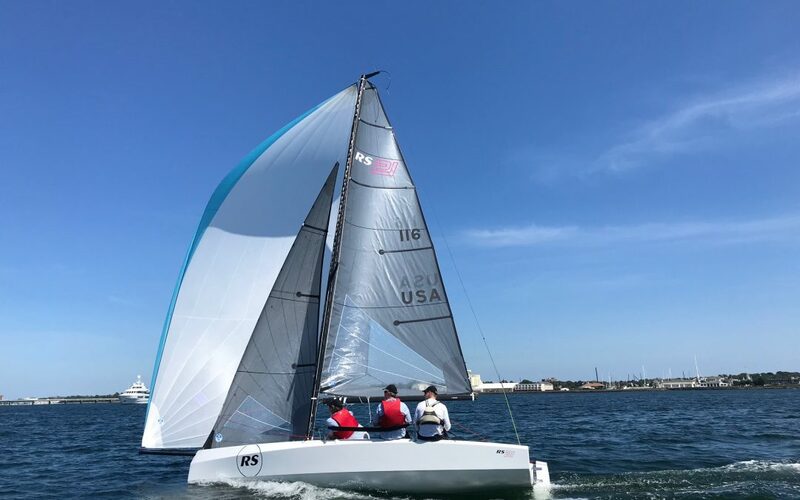 Six RS21s will be available to book for charter at all Helly Hansen NOOD regattas, starting with the event hosted by the San Diego & Coronado Yacht Club, March 15-17 2019. The NOOD Regatta series was founded in Newport, Rhode Island, in 1988 to support and celebrate the growing fleets of one design keelboat racing and now presents 5 national and 1 international championship over the year. Charter boats are now available to book for San Diego, March 14-17 via the RS Sailing Store website for $2,500.00 per boat.